There are a myriad of different retirement and investment accounts you can set up over your investing life time. Here are the main ones you should be concerned with and the pros and cons of each. Keep in mind, these are just account types, not the actual investments. Within each account you actually have to decide how your money is allocated. I can’t stress enough how a person should be socking away money in these accounts as early as they can. These would include 401(k), 403(b), SEP and Simple IRA accounts. These accounts will typically be a persons first introduction to saving for their retirement years after they have landed their first job out of college. Depending on where you work (for profit 401(k), non profit 403(b), or the size of your employer SIMPLE or SEP) will determine what type of employer plan you have available to you at work. Money going into these accounts can go in on a pre-tax basis, meaning you’re saving taxes on money that you defer into these plans. Need to lower your taxable income, max out your employer sponsored plan. It basically has the effect of making it look like you earned less income, while that money is sitting in the account invested for you. There’s also the benefit of tax deferred growth with these accounts. Money deferred or reduced from your salary goes into the account, is invested and grows over time. Year after year, you don’t worry about paying taxes, until you get to retirement. In the year you retire, you pay taxes on the money you withdraw. With pre-tax contributions, you get a tax benefit today, but have to pay taxes later. In 401(k) and 403(b) accounts, if your employer allows, you can also defer money into these accounts as Roth Deferrals. Roth Deferrals have the opposite benefit of pre-tax contributions. You pay taxes today at the payroll level, money is sent into the 401(k). The money grows tax deferred and can be pulled out tax free in retirement. So for Roth deferrals, no tax benefit today to lower your taxable income, but later on in retirement, you don’t worry about taxes on distributions. The thing to keep in mind with pre-tax and Roth deferrals on 401(k) and 403(b) accounts, you can contribute both ways, but can’t go over the limit for the year ($18,500 in 2018). So you can do all $18,500 as pretax or Roth or any combination, so long as you don’t go over $18,500 combined. Another pro of these plans would be matching dollars. Lots of plans will give some kind of match to incentivize employees to contribute. Don’t leave any free money on the table. There are no income limits that prevent you from participating in these plans (unlike some accounts mentioned later). If you turn age 50 or older, catch up contributions are allowed for older workers. In 401(k) and 403(b) plans, this amounts to $6,000 in additional contributions in 2018. Contribution limits. The limit is only $18,500, so if you want to set aside more in investment accounts, you have to look else where. This is called the 402(g) limit. Required Minimum Distributions. Basically if you retire, when you turn age 70.5, you have to start taking money out of these accounts, even if you don’t need the money. This is the IRS saying “hey, that money sitting there…we’d like to get taxes out of it.” The RMD even applies to roth deferrals in your 401(k). If you continue to work beyond age 70.5, you can delay the distribution, until you stop working. Investment Selection and Fees (401(k)/403(b) plans. You won’t have as wide of an investment selection as in an IRA account. Also, if you are not offered low cost investment options in your plan, fees can be sickening. Generally have to wait until age 59.5 before touching the money or you pay a 10% penalty to the IRS. Tip: Most people will need some combination of pre-tax and roth deferrals. Later in life, this tax diversification allows you to play your withdrawals in your favor, taking out income you need, but keeping your taxes low. You just have to weigh the benefit of getting a tax benefit today or tomorrow. Trade offs, I know. A traditional IRA is not tied to where you work, so as long as you have US taxable earned income and you are not turning age 70.5 for the year, you can contribute. This will look similar to employer plans. For 2018, you can contribute $5500 (catch up of $1000 for someone age 50+) and get a deduction on your income taxes (see con below however!) Money in the Traditional IRA grows tax deferred, and upon retirement, you pay taxes on money you withdraw for the year. So, tax benefit today, but pay taxes later. Ability to do Reg 72(t) distributions by taking substantially equal periodic payments if you were thinking about early retirement. Hint, want to know more about this topic, use my search bar up top. It’s kinda what my site is known for. Ability to convert money from a traditional IRA to a Roth IRA. If you have a year where you may have lower taxable income, you can convert some or all of your traditional IRA into a Roth IRA. Rollovers. If you leave your employer and want to consolidate your old employer plans into one account, you’d be well served to move those accounts over to a traditional IRA. Believe me, I’ve actually had customers who had issues finding where their old 401(k) plans were located. Required Minimum Distributions. Again turning 70.5, you have to take money out of a Traditional IRA, regardless of you needing the money or not. Income Limits. For high income earners, you can contribute to a traditional IRA, but you may not be able to get a tax deduction for the contribution. This is where you would want to look into doing a backdoor Roth IRA. Tip: If you have a traditional IRA and you are working and have access to a 401(k) plan and are approaching age 70, you can actually rollover your Traditional IRA into the 401(k) to effectively delay the RMD from the traditional IRA. The IRA would be closed and the balance sitting in the 401(k), so no RMD from the IRA. You just need to delay the RMD from the 401(k) while you are still working. Tip 2: Not sure if you can contribute and get a deduction for a traditional IRA, you have until the tax filing deadline to make a prior year contribution. Tax free growth. Again, contribute to a ROTH IRA today and there is no tax benefit, but in retirement, you can pull money out tax free. NO Required Minimum Distribution. The other accounts mentioned above all have RMDs due at age 70.5, not the ROTH. Access to contributions at any time with out penalty. Say you put $2000 in a Roth IRA, and it grows to $2500. You can access your principal ($2000) at any time prior to retirement and not pay a penalty. You do not want to touch the earnings however. Say you’ve been contributing to a Roth IRA for multiple years. Withdrawals from a Roth IRA are always considered to come from contributions first. Of course, I would say you should leave this account alone. Traditional IRA accounts can be converted to a ROTH IRA. During the conversion, you pay taxes on those Traditional IRA dollars. No tax deduction today. Can’t have it all can we. Generally have to wait until age 59.5 and the account being 5 years old before touching the money or you pay a taxes and the 10% penalty to the IRS on earnings. Tip: If you only have money sitting in a Roth 401(k), you want to be careful. When I was an advisor, I would recommend people set up a Roth IRA and fund it (by contribution or conversion) to get the 5 year clock started. Remember, to get the full benefit of a Roth IRA, you have to be age 59.5 and the account is 5 years old. What happens when you rollover the Roth 401(k) to the Roth IRA, your 5 year clock starts all over. If you didn’t already have the Roth IRA in place, those rollover Roth 401(k) dollars are starting their 5 year clock all over again. Stupid IRS thing that hopefully gets squared away some time in the future, but why take a chance. This is especially important to do 5 years prior to retiring and rolling over the Roth 401(k). Tip 2: If you are a small business owner and want to give your kids a head start with retirement savings, think about this. Hire your kids and pay them the Roth Limit for the year. Their “job” can be anything, like a model and you post their pic on your companies web site. Since they are paid US taxable earned income, you can now set them up with a Roth IRA with the income they made. Challenge: Any young readers who are in high school, I challenge you to take money from your summer job and set up a Roth IRA with that money. I did this back in my younger days and it got me off to a great start. I’ve recently done a write up on the HSA and why it makes an awesome “investment account”. Basically, you have to have access to a high deductible health plan in order to have access and contribute the limit of $3450 in an HSA for 2018. Triple tax benefit. Money goes in pretax, grows tax deferred (and can be invested), and can be pulled out tax free for qualified medical expenses. After age 65, you can pull money from these accounts for non qualified medical expenses and just pay taxes on the distribution. No Required Minimum Distributions at age 70.5. Your employer may make a contribution to the account on your behalf after you get a health screening. Are you kidding me, there are no Cons. I guess having to wait until 65 to be able to use the funds for non qualified expenses or you pay taxes and a 20% penalty. 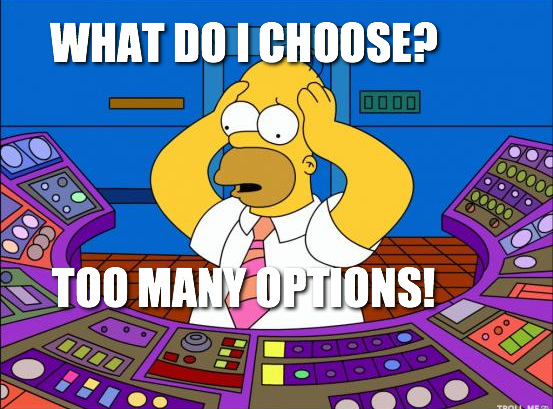 Say you’ve maxed out all of the options above that are available to you, yet you still have the investment bug. This is where a brokerage account comes into play. You can set these accounts up under your name or jointly with say a spouse. No contribution limits. Put away as much as you want. No income limits. Unlike Roth and Traditional IRA accounts, there is no income limit on these accounts that prevent you from contributing. Unlimited investment options. Everything is available under the sun. Stocks, bonds, Mutual Funds, ETFs, Options, Futures, Strips, Straps. Everything. Lower Tax Rates for long term investments. That’s right, withdrawals from a traditional IRA taxed at ordinary income tax rates. Long term capital gains rates are either 0%, 15% or 20% depending on your tax bracket. Lower Tax Rates on qualified dividends. Qualified dividends are taxed at either 0%, 15%, or 20% depending on your tax bracket. Step up in cost basis. Say you pass away, a step up in cost basis is magic that happens and wipes away would be capital gains. The person inheriting the account gets an increased (step up) in the basis of the investments. Since these accounts are not specifically designed for retirement, you have access to the money at any time, without having to jump through hoops. No Required Minimum Distributions. This isn’t a retirement account, it’s just an investment account. No tax deduction for money you contribute to these accounts. You’re only benefitting the older version of yourself though. Short term capital gains and non qualified dividends are taxed at your ordinary tax rate. Tip: With these accounts, buy and hold investing can be your friend. If you purchase a stock and never sell, you don’t pay taxes until you sell the stock…if ever. You would pay taxes on the dividends however. High turnover mutual funds can actually create a tax problem/negative surprise. These are the basic accounts a person should look into for there situation with investing for the future. Personally, I’m not a fan of savings accounts and don’t have one. The interest does not really differentiate it from a checking account to make it worth the hassle of opening. I barely have a checking account and that is for paying bills only. Truth is, my brokerage can just as easily handle that function. Depending on your situation, you may wish to speak with an estate planning attorney. If you are in a field that is at a high risk of law suits, setting up a trust may be something to consider. Just be warned, it doesn’t come cheap.